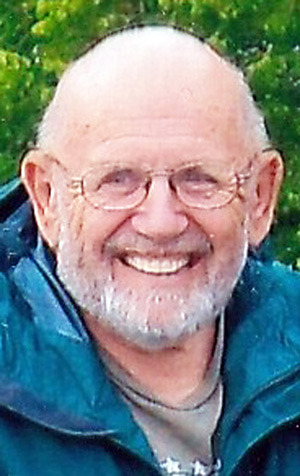 Hubert Patrick Kennedy of Warsaw passed away at 11:11 p.m. Thursday, April 11, 2019, at Visiting Nurse & Hospice Home of Fort Wayne at the age of 81. He was born on March 17, 1938, in Plymouth, to Ruth Laurene Smith Kennedy and Lewis Kennedy. On Feb. 22, 1980, he was married to Saundra Lea Miller, who survives. Hubert was a 1956 graduate of Plymouth High School in Plymouth. He enlisted in the U.S. Air Force on Dec. 18, 1956, and served as a radio repairman until his honorable discharge in 1960. He owned and operated Kennedy’s Well Service and worked as a water well driller for 45 years. Hubert was a member of Future Farmers of America and the Christian Businessmen’s Association. He was a resident of Kosciusko County for the past 52 years and a longtime member of Community Grace Brethren Church in Warsaw, where he served as a great handyman for the church. Hubert was an avid hunter and enjoyed fishing. Most of all he loved his family, and will be dearly missed. He will be lovingly remembered by his wife of 39 years, Saundra Lea Kennedy, Warsaw; six daughters: Briana (Terry) Kessler, Warsaw; Tina (Rod) Eller, Howe; Beth Kennedy, Warsaw; Beth Ann Wells, Warsaw; Belinda Steggell, Fishers; and Barbara Sims, New Knoxville, Ohio; nine grandchildren; and 11 great-grandchildren. He was preceded in death by his parents, one sister, one brother, one grandson, one great-grandson and his son-in-law. Visitation will be held from 10 a.m. to noon Tuesday, April 16, at Redpath-Fruth Funeral Home, 225 Argonne Road, Warsaw. His funeral service will follow at noon at Redpath-Fruth Funeral Home, officiated by Pastor Tiberius Rata and Richard Long. Burial will follow with a graveside service at Oakwood Cemetery of Warsaw, with military rites conducted by the American Legion Post 49, VFW Post 1126 and active duty members of the Air Force Honor Guard. Memorials to the Christian Motorcyclists Association – “Run for the Son,” P.O. Box 9, Hatfield, AR 71953. Visit www.redpathfruthfuneralhome.com to leave condolences online.